Stand Up Paddle Surfing: Lagging... but having fun. And while I was away, we busted a half million! Lagging... but having fun. And while I was away, we busted a half million! Jeez, I haven't forgotten about this place! I've just been out and about- down south, up the coast... and way down south. But here's where I am at: I've got a lot more to say about my Maui trip... a lot. Especially surfing with my friend Ina who showed me real aloha... and about the unreal food that I sampled on that beautiful island (oh yeah, I packed on about six or seven extra pounds- REAL FAST too... going to have to get back on the lean train!). 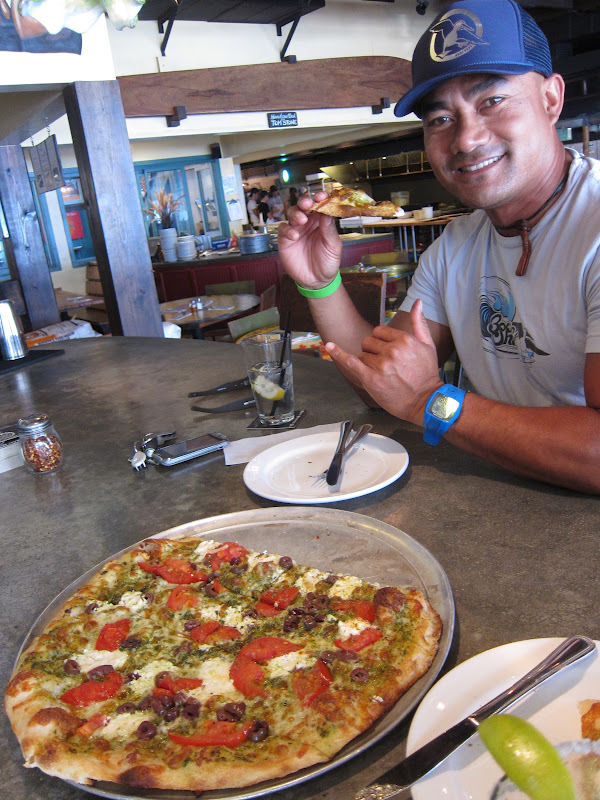 This is bruddah Ina Tagaloa who took us out to one of his favorite spots... which I will tell you all about soon- promise (although I'm sure somebody will chime in with the spot's name soon). Ina's got the biggest heart on Maui- getting us into some fun surf and killer food... and laughing the whole time- thanks bruddah Ina! Looks nice and traquil, eh? Loading up the Ramble Wagon in southern-ish Baja and it's 106 degrees in the shade, muthaf#$%er!!! Are you kidding me??? This one's a good story- which you will hear about soon. And for those of you who care about things like this... we busted a half million hits on this site- which I guess is cool in some way. Thanks guys and gals- more stuff coming soon! Yeah baja is too much for me in summer-im far too delicate for that crap anymore! You missed weeks of flat crap while you were gone!